NEW YORK, NY.- Garvey|Simon Art Access and Littlejohn Contemporary present Fête de la Nature, a salon-style exhibition celebrating nature through contemporary art. Fête de la Nature is a joyous and whimsical exhibition which combines the work of contemporary artists affiliated with both Garvey|Simon and Littlejohn Contemporary. 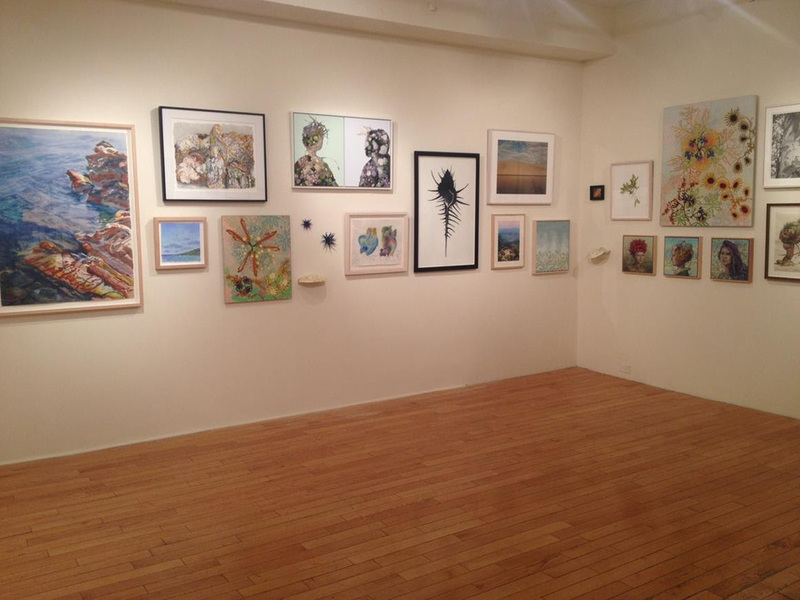 The two dealers, Elizabeth Garvey and Jacquie Littlejohn, have shared the gallery space in Chelsea (Suite 207, 547 West 27th Street, between 10th and 11th) since 2012. The exhibition is a joint venture to celebrate the natural world and its influences on art and culture, and will feature works in a variety of media and installed in a salon-style fashion to give the public a broad glimpse of the depth of both gallery programs. Artists included: Christopher Wade Adams, Jan Aronson, Alan Bray, Randy Bolton, Daisy Craddock, Annette Davidek, Janet Fish, Morris Graves, Valerie Hammond, Laurie Hogin, Ray Kass, Jennifer Knaus, David Kroll, Sandy Litchfield, Ruth Marten, Jacquelyn McBain, David Morrison, Mary Reilly, Susan Shatter, Keiji Shinohara, Anne Siems, William Smith, Idelle Weber.